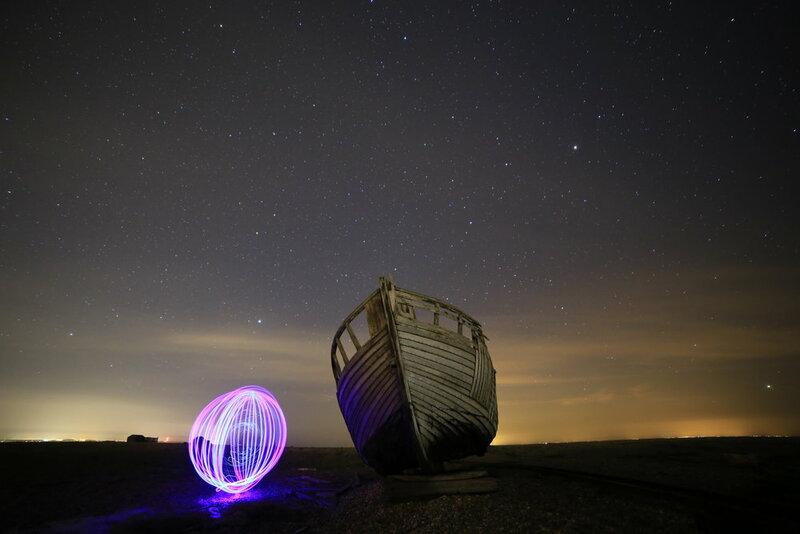 In 2018 I return to JAM on the Marsh with a brand new exhibition continuing the night time theme which I have developing and refining my night photographs to involve unidentified objects, many created by myself, rather than featuring the Marsh’s most familiar landmarks. 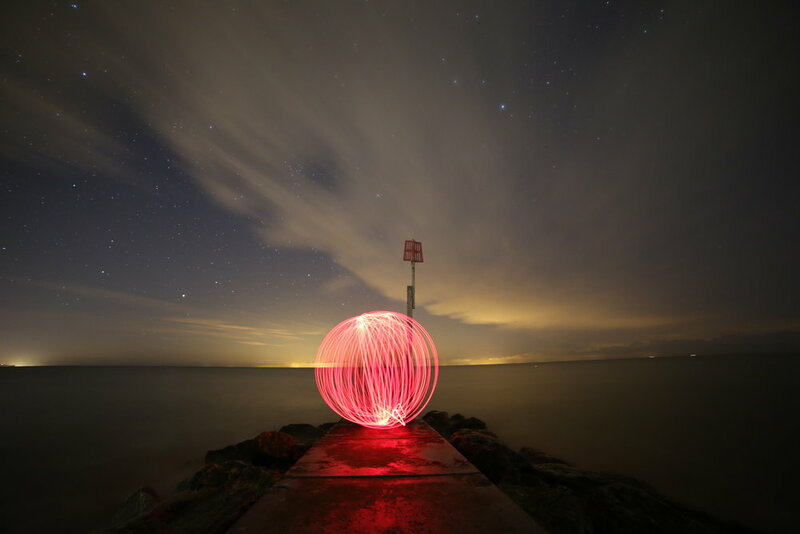 In this exhibition I explore Romney Marsh by night using coloured lights, torches, coloured sweet wrappers & steel wool to create breath-taking effects of orbs, steel wool spinning and light painting all under the stars of Romney Marsh. The exhibition runs daily between 10am - 5pm during JAM on the Marsh between 5th - 15th July. JAM on the Marsh is an annual multi-arts festival spanning Romney Marsh. This year it runs from 5th – 18th July, including 7 concerts, 5 exhibitions, 4 children’s events, 2 theatrical performances, 3 poetry recitals and a churches tours.